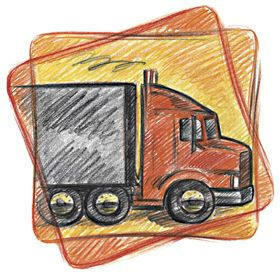 Shivan Trucking Corp. is an 'On Demand Trucking Company' that was established in 2000, located in JFK area. Shivan Trucking has been providing services to Major Import/Export companies, Construction Companies and the Aerospace Industry just to name a few. We have Union and Non-Union Drivers. Whatever your transportation needs Shivan Trucking Corp. guarantee to provide the best solution. We are committed to providing you prompt, courteous, and professional services. Our staff takes pride in providing quality transportation services. Here at Shivan Trucking Corp. we provide our customers with tools that make Freight Transportation Management Secure, faster, and easier.